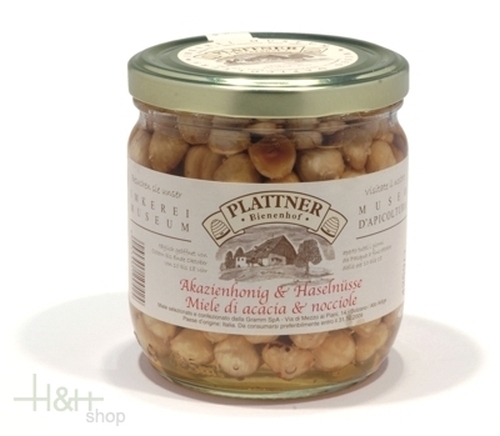 Nuts in acacia honey Plattner 425 gr. Buy now this product together with Almonds in acacia honey Plattner 475 gr. Almonds in acacia honey Plattner 475 gr. ready for shipment: in stock Almonds in acacia honey Plattner 475 gr. Buy now this product together with Nuts in acacia honey 240 gr. Nuts in acacia honey 240 gr. ready for shipment: in stock Nuts in acacia honey 240 gr. Walnüsse in Akazienhonig 230 gr. 9,60 EUR / 4,17 €/100 gr. Nuts in acacia honey Plattner 425 gr. 15,90 EUR / 37,41 €/kg. Nuts in acacia honey 240 gr. 10,60 EUR / 4,42 €/100 gr. Cantuccini mandorla 300 gr. - Antichi dolci di Siena 7,75 EUR / 2,58 €/100 gr. Almonds in acacia honey 240 gr. 10,60 EUR / 4,42 €/100 gr. Ricciarelli di Siena Igp 250 gr. - Antichi dolci di Siena 11,80 EUR / 4,72 €/100 gr. Almonds in acacia honey Plattner 475 gr. 15,90 EUR / 33,47 €/kg.